We like a nice hot cup of brewed coffee in the morning to kick start the day. That is why ground coffee and beans are among the pantry constituents if you don’t want to make a trip to the coffee shop. It is normal to expect zero disappointment from your chosen brand until the day you brew and realize the taste has changed. That is when you ask the old age question, do coffee grounds go bad? Did I brew it correctly? Does Ground Coffee Go Bad? How Do I Tell If My Coffee Is Bad? If your coffee machine is okay, the only thing left to blame is the state of your grounds. That is why I take this chance to cover this concern in detail and share some of the best ways to store your coffee. Coffee processing involves roasting, yet the beans do go bad. That is why the same applies to ground samples. Roasting is essential in getting rid of contamination since it decreases the moisture level. As you continue to store the coffee, some of the things that you don’t have to worry about include bacteria intrusion or growing molds. However, that is realized when you keep it in the least humid conditions. Coffee contains various compounds which include amino acids, carbohydrates, and lipids. As time goes by, their chemical and physical attributes change which alter the taste and aroma. Why? The volatile compounds have already evaporated as the lipids and carbohydrates go rancid and stale respectively. Oxidation also affects other components, not forgetting the effects of moisture on coffee. That is why even the slightest change such as opening the package changes how it tastes. The duration depends on its state of storage and how you store it. Some of us like to empty the package once it arrives and transfer the contents to a special container. If that is the case, you need to consider how long does ground coffee last in an airtight container. How many more months can I still brew past the expiration date? To help you understand the duration, here is a small table that compares the time length based on the state and where you store it. Please note that the periods are an estimate past the ‘best before’ date on the package. The funny thing about coffee is that it will stay the same regardless of age. If you don’t have the right food safety measures, you will be a fool to think that it’s all good, all the time. Being coffee dependent means getting to know the smell of fresh coffee. If you have such capability, your nostrils will help you determine if the aroma is still there or gone. A mild smell of coffee means that the flavor is on a lower level. When coffee goes past the use by date, others would ask whether expired coffee makes you sick. Well, I have used coffee past the dictated day, and while it did not send any jitters, it almost felt flat. Most of the flavor was gone. At times, the coffee may also depreciate even to lose its dark brown color and appear lighter. Coffee will lose more flavor after grinding since the oils are more exposed to heat and air. Apply the surface area rule here to get the message. If you want to use the coffee after expiration, that means you don’t care much about the taste and would just like the coffee out of the cabinet. It would, however, help if you used more coffee per brewing session to increase the taste level. Others would never touch anything past the best before date. There are health concerns when you take spoilt drinks so, it is a good idea to practice food safety protocols and enjoy your coffee before the due date. We have already covered about coffee grounds, whether they go bad and how you know it. As you read this, you might be one of those who brew more coffee to cover the next 4-6 hours. So another question comes in, how long does brewed coffee last before it’s considered undrinkable? Varying factors also complicate the aging period just like in the ground or whole beans. On the other hand, if ground coffee has a time limit, the answer is obvious and sooner if you have already brewed. When you properly store brewed coffee, in the refrigerator, the exciting part is that you can take it for the next four days. If you, however, leave it in the pot, don’t drink it if 12 hours are over. After this time, the coffee is either bitter or with no taste. Another habit is warming up coffee once in a while when it gets cold. If you are one of them, I would advise you to get a thermos to keep your coffee warmer for hours. Using the microwave to warm up among other methods ruins the coffee. Ask the experts, and they will tell you that after 30 minutes to one hour of brewing coffee, it’s best if you poured and brew some more. Now that you know that coffee goes bad, it’s time to see how you can save the flavor and have a rich cup every time you brew. We will look at storage locations, container types, and the freezing method. Coffee likes a cool, dry and dark place. Make sure your cabinet achieves that. Avoid the freezer or fridge if your container is not airtight. I’ll cover that in detail later. You can use the counter if it’s away from direct sunlight and you have an airtight, opaque container. Avoid warm areas such as in cabinets that receive sunlight during the day or near heating appliances. Do you have a stronger coffee brand? Non-reactive metal, glass or ceramic containers with an airtight closing lid will provide an ideal solution. You can also choose to store in clear glass canisters or clear plastic vessels if you are keeping it in a cool, dry and dark place. Every cup of coffee brewed needs the right freshness. That is why coffee enthusiasts like to consume coffee as soon as it is roasted or in less time after opening the original package. Putting coffee in the freezer is debatable where some agree it is the best mechanism while others would not dare. What we need to remember is that coffee takes in moisture, taste, and odor from the surrounding air. That means it’s hygroscopic. Storage containers will let in small air amounts, and that’s one of the reasons why the freezer is not the right place for coffee. Therefore, if you are choosing it, make sure that your container is truly airtight. When using the coffee, get as much as you need once in a week and return the coffee in the freezer before condensation happens. For more storage tips, here is a video for you. We have already seen that coffee needs a dry place. To make sure that there is no moisture contact, your container should be tight locked, its storage location is dry and always use a dry scoop or spoon when fetching some to brew. That way, no water molecules will activate molding as the coffee stays in its tin. 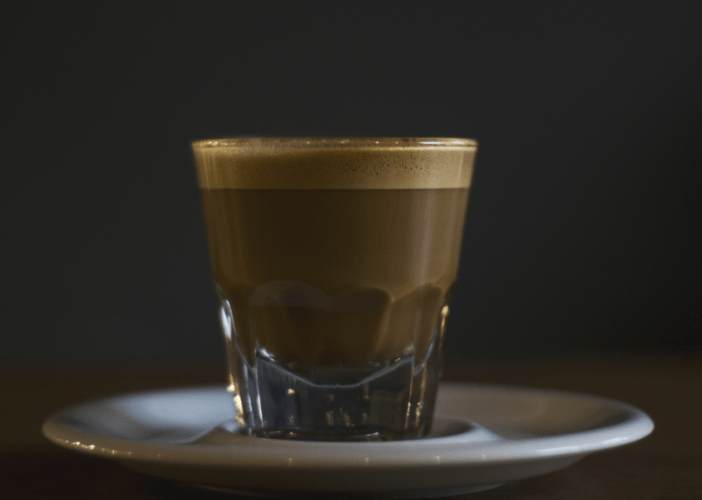 Ground coffee loses its flavor faster since it’s more exposed to air. That is why it is advisable to grind coffee when you want to make a fresh cup. Always remember to crush the right amount to ensure that nothing remains ground. The moment you open the initial package, coffee flavor starts to get away. 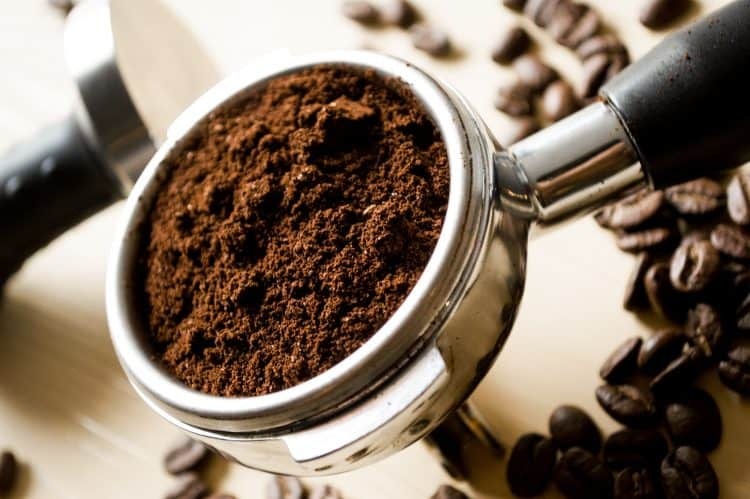 If you are not going to keep it in its packaging, then transfer the coffee to an empty container as opposed to adding on top of some previous coffee grounds. Coffee remains will decrease the strength of the new, added coffee. That is how you risk not getting the freshness reserved by the chosen brand. If you want fresh coffee in every brewed cup, try purchasing enough amount for the next two weeks at most. If you want an abundant supply, then consider dividing the coffee into small portions while the larger amount goes to the airtight container. As we summarize, the last question I would like to address is what you can do with coffee that is way past its freshness. The first option is to throw it away, but you don’t want to do it since that’s money wasted. 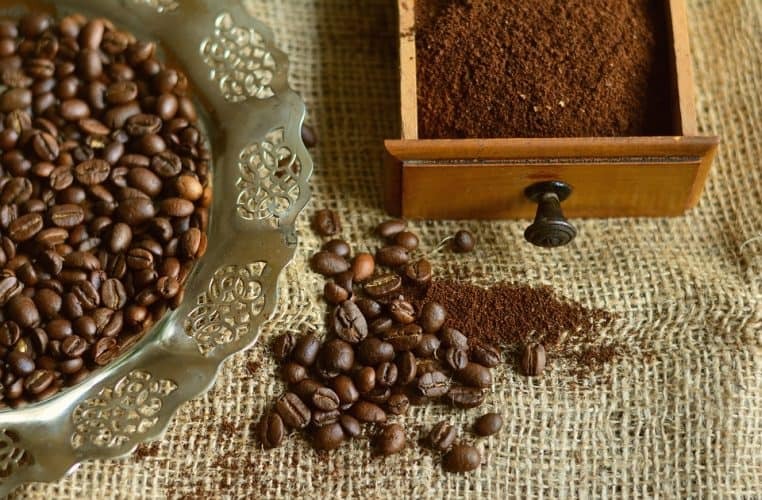 Since you cannot drink it, how about using the coffee as a baking ingredient? It has proven to make excellent desserts so, try it out. You can brew more coffee to get closer to the original taste or use the grounds as fertilizer. Use the coffee to try a brewing method that you have been longing for. While you are not bound to get the right flavor, the aim here is to master the technique.